Spain is one of the world’s most popular destinations, yet its northern coast, especially Cantabria, is generally overlooked. Cantabria is a small region to the west of Spain’s Basque Country and offers some incredible archaeological attractions. Above: The ceiling of Altamira, showing the painted bison highlighted by the natural relief of the cave. Photo courtesy Museo de Altamira and D. Rodríguez via Wikimedia Commons. 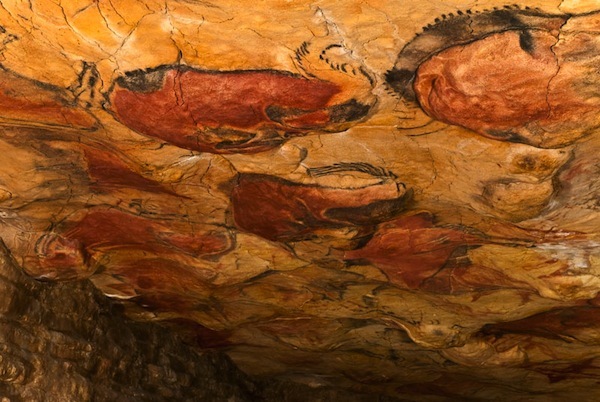 The big draw is the famous Altamira painted cave in Santillana del Mar with its brilliant paintings of animals, hunters, and hands dating from 13,000 to 22,000 years ago. Sadly, Altamira is closed to visitors in order to protect the paintings. Selected individuals have been able to visit, but the waiting list can last years. I know several people on it and none of them have ever made it inside. The general public has to make do with a fine museum and reproduction of the cave at the site. This January, the government of Cantabria caused a local media sensation when it announced that Altamira would reopen for visitors. Every day, five visitors to the imitation cave will be selected at random to visit the real one. Opposition politicians immediately accused the local government of putting on a stunt that could endanger the cave. Others have pointed out that Altamira was supposed to have reopened back in 2011 and never did. There’s been much sniping in the local papers ever since. From what I’ve seen of Spanish politics, it’s hard to tell who’s telling the truth and it’s best not to bank on getting into the real Altamira anytime soon. Luckily there are several prehistoric painted caves in Cantabria you really can visit. The best are the Monte Castillo caves in Puente Viesgo. It’s actually a set of four caves, of which two are open to the public: El Castillo and Las Monedas. Last year scientists discovered that some of the images in El Castillo date from 35,600 to 40,800 years ago. That makes them the oldest cave paintings in the world and suggests they may have been made not by modern humans, but by Neanderthals. 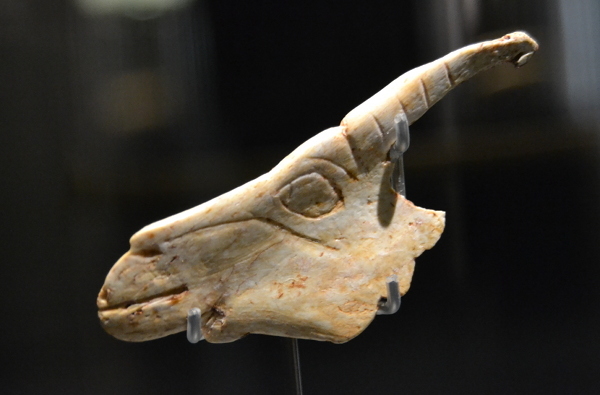 The archaeology museum in Santander has many prehistoric treasures, such as this animal head carved from bone, dating to c. 14,400-13,300 years ago. Photo copyright Almudena Alonso-Herrero. The “Venus of Pendo”, made of deer antler about 17,000 years ago. Photo copyright Almudena Alonso-Herrero. The stele of San Vicente de Toranzo. These monuments are thought to be funerary markers for aristocrats from the period just before the arrival of the Romans. Photo copyright Almudena Alonso-Herrero. The Visigoths invaded Spain in the 5th century AD and took it from the Romans. They produced elegant jewelry such as this belt buckle. Photo copyright Almudena Alonso-Herrero. The museum in Santander has several interactive displays, like this touch screen that allows you to do your own archaeological excavation. Photo copyright Almudena Alonso-Herrero. 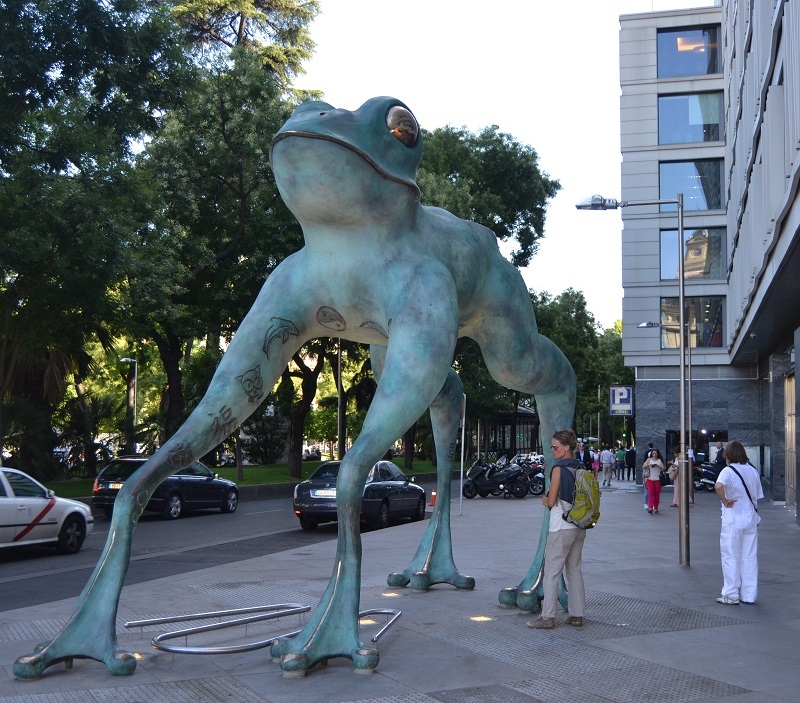 A newer attraction is the Museo de Prehistoria y Arqueología de Cantabria in Santander. Opened in the winter of 2013, it has an extensive collection of artifacts and interactive displays showcasing Cantabria’s past. Included are many Paleolithic bone carvings, showing that early people had a range of artistic expressions. 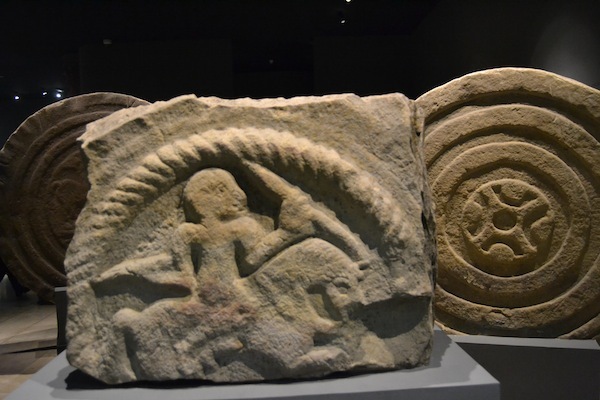 Later periods such as the Iron Age, Roman Period, and Middle Ages are also well represented. Part of the Roman remains at Julióbriga. Part of the Roman remains at Julióbriga. Photo courtesy Jesús Ángel García Arnay via Wikimedia Commons. The best Roman ruins in the province are those of the city of Julióbriga near the modern village of Retortillo. Founded during the Cantabrian Wars of 29-19 BC when the Empire brought the region under its control, it served as the main urban center. 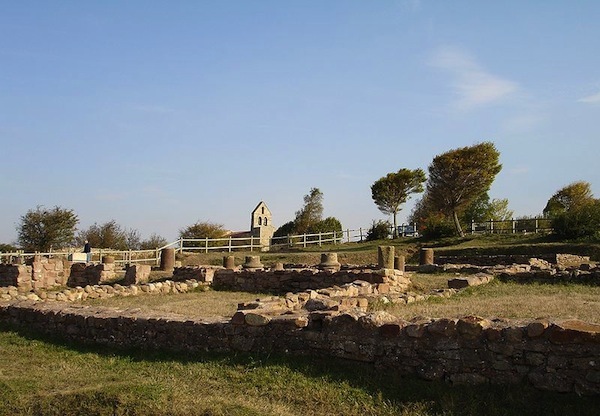 The remains of several buildings are clearly visible, and the site’s museum gives an overview of the city and Cantabria’s Roman period. The author next to a menhir at Yelso de Hayas. Photo copyright Almudena Alonso-Herrero. Cantabria offers countless scenic hikes in its rugged mountains. Several hikes will take you past medieval estates of the landed gentry, and there are prehistoric standing stones called menhirs scattered around the landscape. There are also tumuli, stone tombs covered with earth to make small artificial hills. Set up by the pastoral people who lived in the mountains 4,000 years ago, they stand as mute testimony to the long prehistory of Cantabria. Cantabria is best seen with a car as the sites are scattered around the region and there is little public transportation between smaller towns. If you plan on visiting one of the painted caves, it’s best to call and book your tickets in advance.